8,196 sq. 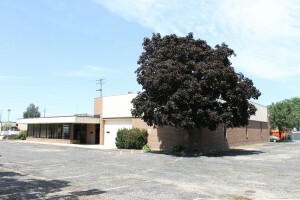 ft. office/warehouse on 1.24 acres for sale in DeKalb’s central business district (CBD). Former Auto Repair Shop; 2,500 sq. ft. office & 5,600 sq. ft. warehouse. Numerous private offices, conference room, & open-windowed area. Warehouse has 16′ ceilings to the trusses, trench drains, & two overhead doors (Each 16′ W w/ 1 @ 12″ H & 1 @ 16′ H). Property could be subdivided. NFR letter is due soon. MTM tenant would consider staying.